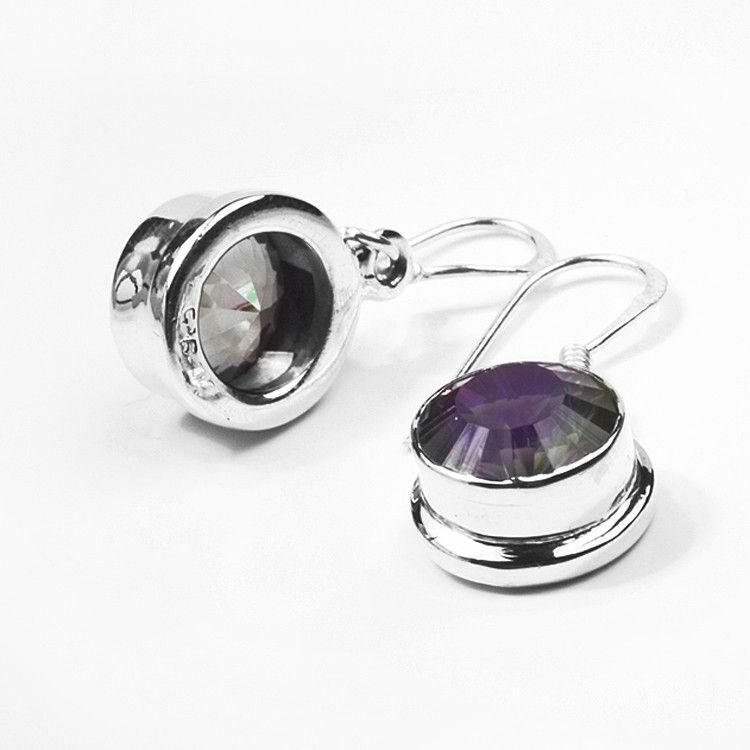 These colorful round cut Mystic Topaz hook earrings are set in a .925 Sterling Silver bezel setting. 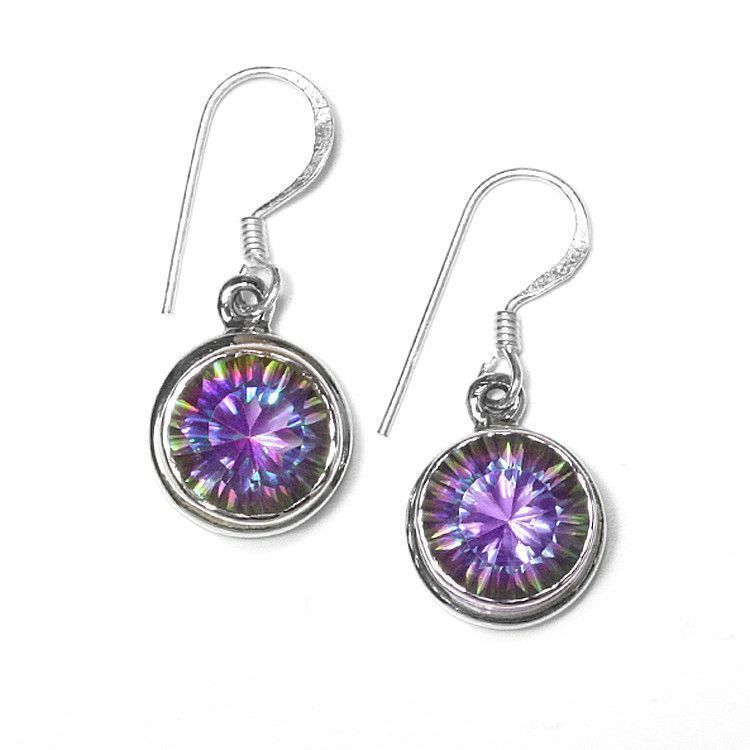 The earrings measure about 1 inch in length. The gem is 10mm in diameter. Mystic Topaz is a purple-blue-green gemstone with a rainbow of color accents that form a spectacular display of various hues. It is also known as Fire Topaz, Mystic Fire Topaz, Caribbean Topaz, Alaska Topaz, Alaskan Ice and Rainbow Topaz. These are all different terms used to describe topaz treated by titanium vapor to create a permanent rainbow of colors. Special care needs to be taken of these stones. Avoid severe heat, acids, household cleaners, etc. Earrings: 1 1/8" in Length.